461 Ocean Boulevard is bar none a classic of both EC and classic rock as a whole. It has consistently been a favorite album of mine since I was the young age of 3 years old. Back then, my preferences were "Motherless Children" and "Mainline Florida". Nothing has changed since then, both songs are enjoyable from start to finish. However, to focus purely on those two songs would be myopic in nature. Overall the album demonstrates Clapton's versatility as a guitarist and his ability to seamlessly transition between musical styles. When I first heard a cut from "461 Ocean Boulevard" in the summer of '74, I was severely disappointed. The song, "I Shot The Sheriff" was not the kind of music that I was used to hearing from Eric. Weaned on his days with Mayall, Cream, Derek & The Dominoes and his pre-D&D solo effort, I could only conclude that Eric had finally shunned his legacy as a guitar god and was heading into strange territory. However, I decided that one song does not make an album so I purchased "461 Ocean Boulevard" to give it a good listening. After I listened to the entire album, I liked some of the songs, particularly "Please Be With Me" and "Steady Rollin' Man", but I, and I assume many Clapton fans at the time, wondered what to the fire the Clapton ignited on his earlier efforts? Was this going to be the direction he was now heading? The only way to find out was to see him and his band live in concert. In August of 1974, I saw EC and his band mates play at St. John's Arena in Columbus, Oh, to support "461 Ocean Boulevard." Any doubts about Clapton's devotion to blues-rock guitar were quickly erased as I sat back mesmerized watching the master ply his craft. The solo work on "I Shot the Sheriff" was concise and biting. Through the years, as I presumably matured in my musical tastes, I had grown quite fond of virtually every song on this album, save "Willie and the Hand-Jive." I couldn't see it at that time, but the album signalled a "reborn" Clapton who yearned to simplify his music and to focus more on the song rather than his guitar prowess. It was because Clapton held true to this vision of his music, it has given him the ability to remain a mainstay in today's fickle musical scene. It has always been a great listening, and the new double CD edition is fascinating for all Clapton aficionados. The blues Jam shows EC experimenting with new riffs and licks. Listen to "Rambin on my mind" on Bluebreaker, than on this CD, and finally on "EC was here", and you get an inside view of Eric musical maturation process, progressively becoming more personal and introspective over the years. Although this is not (in my opinion) Clapton's best album, it is definitely worth buying. I already own the cream of Clapton and many of his better songs are contained on that album. Although this album has one song that I think is absolutely superb besides let it grow, which is "please be with me", not a big fan of country music, but this song is different, more like folk song. A simply and beautiful song. The album is mostly a blues album (who would have thought) and most of the tracks are not Eric's original songs. His cover of "I shot the sheriff" is quite excellent. Clapton is definitely one of my top ten favourite songwriters. I recommend this album to all you Clapton fanatics. In my opinion one of his best. I love nearly each track on here aside from Get ready which is boring and too slow. My favourite tracks however are Let it grow (one of the best 5 tracks Eric has ever written himself), Steady Rollin' Man, which is one of his best blues covers ever. The second blues cover I prefer by other artists who play it faster, but its guitar solo is ONE OF THE MOST INTERESTING SOLOS I HAVE EVER HEARD. This is one of Eric's best albums without a doubt. I think that "Steady Rollin' Man" and "Mainline Florida" are actually the best songs on the album. "Steady Rollin' Man" has a simple but still good solo and "Mainline Florida" is just a fun, rocking song. The solo on it could have been better I think, but other than that I have no complaints about this album. This is a very great album, but there could only be one song on it, and I'd still fork out a tenner for it. "Let it Grow" is E.C's greatest piece-there is something darkly powerful and compelling about it. 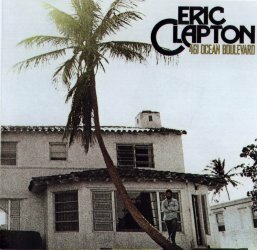 461 Ocean Blvd is one of the classic EC albums. It comes after a 3 year layoff. Eric at this time was very laid back and somewhat funkier. Motherless Children is a good intro and shows Eric's slide guitar expertise. Give me Strength is excellent and one of his finer performances of the 70's. Hand Jive, Get Ready and I shot the Sheriff are not classic performances but do show a funkier side of EC. I Shot The Sheriff was his first #1 song. "I cant hold out" is one of the better songs on the album. He then does a country song called "Please be with Me, which show a side of him I had not heard before. It is a good performance, definitely worth checking out. Next is his haunting version of "Let it Grow" which I played over and over the first time I heard it. To me it remains one of his classic songs ever. He ends with Steady Rollin man and Mainline Florida. Steady Rollin Man is his classic style of blues. I would recommend this CD to anyone, and if you are an EC fan even better. I like the raw beauty of this album, spanning '60's and '70's style genres. Criticize him for his low and highs in life, we all have them don't we? The cover design is brilliant, the songs all well mastered and sort of all form a part of the Florida experience, which being a foreigner was lucky to partake. Sure, his later albums sold more, but 461 has to be the best one he's ever made. Love it to death! The first Eric Clapton song I heard was "Let It Grow" in the Fall of 1974, overhearing that song the cooks had tuned to a rock station at 6th grade camp. Ever since then, I have loved music by Eric Clapton, solo and past group efforts. This album is special to me because it is "my" discovery of what a great musical artist Eric Clapton is. This 1974 release shows a more sunny, mellow side of Eric. His fantastic interpretation of Marley's "I Shot The Sheriff", his heartfelt performance of the gospel traditional "Give Me Strength", his painfully honest and chillingly beautiful "Let It Grow", the dry rocker "Mainline Florida" coming at you like a freight train, and last but not least, "Motherless Children"....need I say more? "461..." was a rock milestone. Not only because it gave Eric an astounding comeback, but the reggae-tracks on 461 (plus the 1975 single-release "Knockin' On Heavens Door"), is regarded as the best reggae recordings ever made! All in all, "461.." is a mastermind production, beautifully performed. Mine has it's place alongside Bach and Beethoven, because that's what it is.....a true classic! In this album, finally, EC can express what's inside of him and let it come out, starting right off with Motherless Children, instead of being pressurised as the "guitar-god man" who has to produce 5 minute solos, and he can at last be himself. With this album he defeats his drug addiction, and the peaceful, simple songs testify this. This is EC's most honest, down to earth, and best album! I love this album. I listen to it all the time. I enjoy hearing a different side to Clapton's music. I can hear raging guitar solos on the many other CD's and DVD's of his live concerts whenever I want. The 70's albums nowadays, offer me a nice change and show that E.C. is a brilliant entertainer in many styles of music. This record is widely regarded as Eric's great "comeback" album, and in some ways it is. Give Me Strength and Let It Grow must rank among Eric's finest songs, while his versions of Cant Hold Out and Please Be With Me are master pieces of taste and restraint. Some of the other songs, though, such as Get Ready and Willy and the Hand Jive, are merely average, if not straight album-filler. Still, overall this is a strong record, and it was a relief to have our hero back alive and well in the studio! This is the perfect example of simple is best. This record, while many feel that it doesn't show off Eric's best musicianship, has the best moods in each song of any record he ever made. Only recently has he been able to grow into the kind of musician that can put any song into any mood. It rarely happens anywhere in rock, and seldom for any musician. Eric really makes every song have it's own reality, and each reality is a fresh and worthwhile one. This was not, technically, Clapton's best album. He was just coming off of a long downslide into drug addiction, his personal life was a mess, and he was almost forced to produce this one by his friends. So how much can you really expect? However, even dragging himself (being dragged?) up from the bottom, Mr. Clapton was unable to produce a complete deck. This album included one of his most enduring hits ("I Shot the Sheriff", a blues/reggae fusion before reggae had really become popular in America), and started him on back on the road to success. Although in this album we don't have a chance to enjoy outstanding solos and the best guitar improvements, We have an Eric Clapton showing us the Real Black sound (that doesn't come from blues genre): Bob Marley. Yes, I know that Eric is influenced by more black people: Big Bill Broonzy, BB King, Howling Wolf, etc. (We will see that in Unplugged, Riding with The King and other albums). I said this because of the Reggae sound in "I Shot The Sheriff".